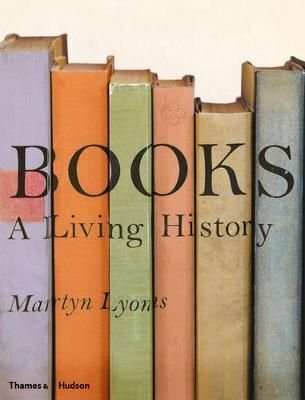 Books: A Living History: Paperback: Thames & Hudson Ltd: 9780500291153: 29 Jul 2013: For more than 2,500 years, the book, in a wide range of forms, has been used to document, to educate and to entertain. This book explores the rich history of the book, one of the most efficient, influential and enduring technologies ever invented. This ambitious volume, newly available in paperback, explores the rich history of the book, one of the most efficient, influential and enduring technologies ever invented. For more than 2,500 years, the book, in a wide range of forms, has been used to document, to educate and to entertain. The eminent authority Martyn Lyons charts its worldwide evolution through the centuries, from the cuneiform tablets of ancient Sumer through the development of moveable type and the emergence of the modern information revolution. Among the carefully selected illustrations are Maya codices, Egyptian papyrus scrolls, medieval illuminated manuscripts, masterpieces of early printing from Gutenberg and Aldus Manutius, atlases from the great age of travel and exploration, primers and children’s books, dime novels and Japanese manga, and works of fiction ranging from Don Quixote to Level 26, the worlds first digi-novel, and beyond. FoudThru Design. All rights reserved.